Texas women candidates won or made it to runoffs in more than 50 primary races statewide amid a surge in interest in running for office among women around the country. Texas women dominated in dozens of congressional, legislative and statewide primary races on Tuesday night in the wake of federal elected officials retiring, the #MeToo movement, mounting frustration over a lack of elected women and President Donald Trump's win in 2016. “There’s a part of raising consciousness and getting more engaged in politics that is necessary for each of us to lend our voices,” Bresnahan English said. "A lot of women are realizing it can’t be about one woman’s race or one seat." Currently, only three of the 38 members in the Texas congressional delegation are women. Meanwhile, in the Texas Legislature, just 37 of the 181 seats that make up the House and Senate are held by women, according to the National Conference of State Legislatures. Bresnahan English also said while it’s exciting to see Texas women get big numbers of support, there’s still a need to get more Republican women to run for office. Cynthia Flores handily won the Republican primary race for Texas House District 52 over her two opponents with 60.8 percent of the vote. Flores, a social services worker, had the backing of both outgoing state Rep. Larry Gonzales, R-Round Rock, and Gov. Greg Abbott. 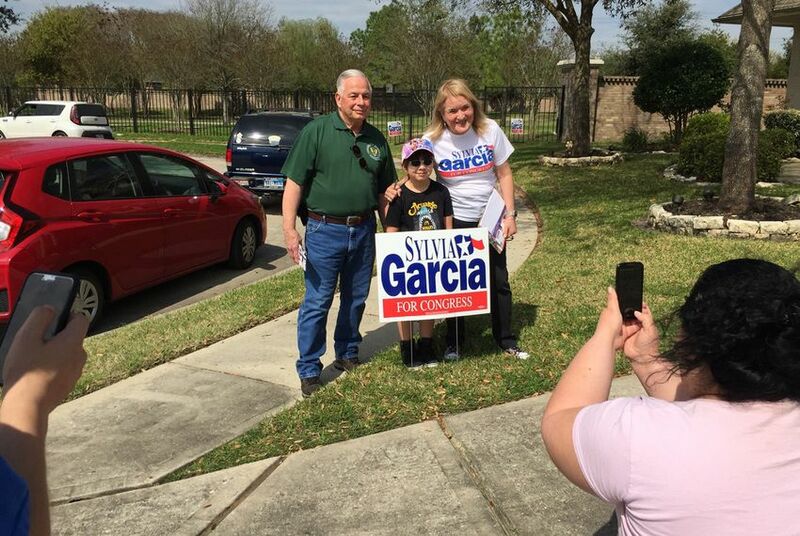 She said serving and living in the district for nearly 20 years plus the timing of Gonzales' open seat inspired her to run. That and she believes she can be a good voice for constituents in the area.